So, when I lived in London, I missed Mexican food so much. When I first moved over there, you couldn’t even buy tortillas, and the only salsa you could buy was El Paso in a jar. Which, let’s face it, is NOT salsa. Mmmm...curry. It just makes life worth living. There’s an Indian restaurant a half a block from my house. I never go there because it is not authentic. The weird thing is that the owners also own Nina’s Anglo-Indian Grocery in El Toro, where the food is quite good. Weird. I think this one is trying to appeal to the American palate too much. But never mind. The Husband loves it when I start toasting up the spices and making curry. He loves anything with a ton of garlic in it, like me, so curry always works for us. It can be a little labor intensive with all the prep and chopping, but once you’ve done that, it goes pretty quick. You can use plain rice with this, but I’ll also include a recipe for a simple rice and a pilau rice. If you need any of the spices listed here, head to Nina’s or another ethnic grocery, where they’ll be much cheaper than buying the little jars at the store. 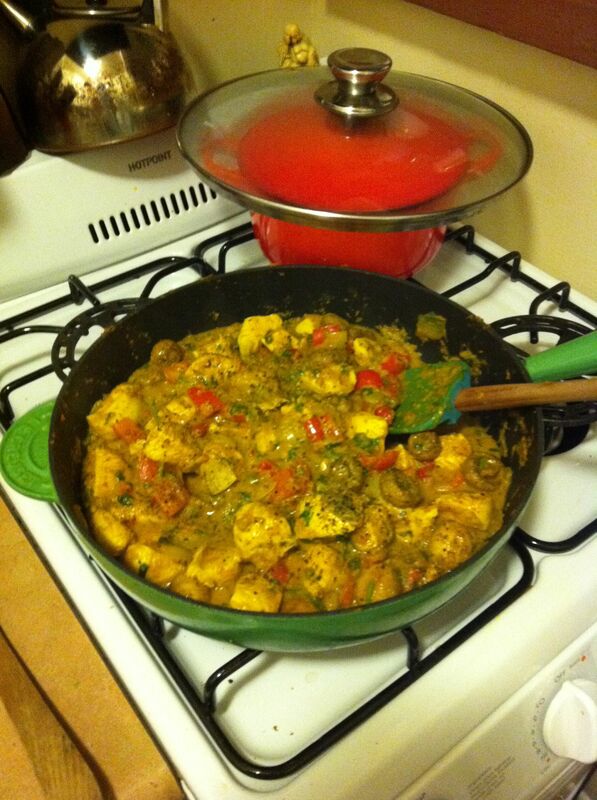 I’m starting you all off with a mild curry—for those of you who like it hot, throw more chili in there. And for those who don’t like spice, don’t omit the chilis I have here. Really, there will be no burning of the mouth. I promise.